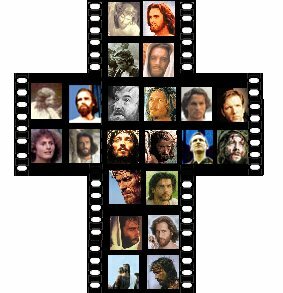 Last lent I led a course on Jesus in Film which ran over five evenings. Ever since, I have been meaning to make the notes available online. Very Kindly, Alan Thomas of Movies Matter has already converted the first, two sets of notes into HTML and posted them at his site. However, now all four sets of notes are available to download as PDFs. I shaped the course around the five different ways which people tend to approach Jesus Films. When most people first look at films about the life of Christ they tend to be primarily looking for a depiction which matches their own perception. Perhaps after watching a few such films they will then begin to enjoy finding aspects they have never thought of, things that supplement their own mental picture if you will. A third approach is to look at the films and see what they tell us about the film-makers and the culture and times that they were living in. One of the main advantages of watching a film made by someone with a different world view to oneself is that it can challenge cosy, unscriptural notions we have about Jesus, and ask us difficult questions. Finally, the way the film-makers handle the texts can help us understand how those who wrote them may have handled their source materials. 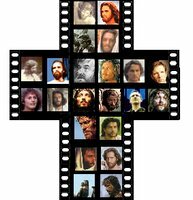 How and Why Study Jesus in Film? An introduction to the course explaining the approach above, looking at some objections to such study, and giving a brief introduction to some of the basics o film vocabulary. This section covers the first approach explained above by looking at 34 of the principal films about Jesus. Where possible I would encourage showing clip of a number of these films. This session looks at the second two phases "supplementing", and looking back at the film-makers. This set of notes will actually last for two sessions if there is a reasonable amount of discussion. This final session covers the challenging approach above and, in theory covers the more textual approach, although when I led this session we over ran and so missed out this part of the course. Please feel free to download these notes and use them as you wish. I do however ask that you give me the appropriate credit as author, and do not reproduce these notes in any published form or where people will be charged money for anything other than covering printing costs without asking me first. I would also be keen to take other groups through this material if desired. Contact me if you are interested. Thanks. Nice of you to drop by.